Most people are aware of the uses of hemp oil for skin and hair, but did you know that there are different ways to use this nature’s wonder oil? 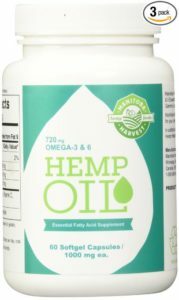 Hemp seed oil is full of essential fatty acids that are required by the body. It is dubbed as “nature’s most perfectly balanced oil” because it has the right balance of omega 6 and omega 3. These fatty acids are needed for healthy skin and a strong immune system. Aside from fatty acids, oil from hemp seed also has an adequate supply of Vitamin E antioxidants, carotene, phospholipids, minerals, and other nutrients. Some cancer patients ingest hemp oil as it increases chances of a cure. According to a British study, consumption of hemp seeds was able to improve the condition of people with advanced stage breast cancer. Furthermore, it can possibly reverse gliobastoma multiforme, a deadly form of brain cancer. One of the popular uses of hemp oil is for the skin. There are hemp seed oil moisturizers available in the market to target conditions such as acne, eczema, rashes and psoriasis. In the same way, taking hemp oil supplements speed up healing from within. Hair conditioners have hemp oil as one of their ingredients. When used directly on the hair, it can moisturize strands and prevent breakage. You can also massage hemp seed oil on your scalp to treat dandruff, prevent scalp infections and improve blood circulation. Vegetarians and vegans might want to add hemp seed oil in their diet. This oil has the same amount of protein from eating meat. It is already considered a complete protein source – something that is rare for a plant. You can purchase food-grade hemp oil such as Nutiva Organic Hemp Oil. This cold-pressed oil can be added on your salad or smoothie. It has a delicate nutty flavor and can also be consumed directly. Hemp seed oil contains GLA that acts as a natural appetite suppressant. It also helps reduce sugar cravings and curb inflammation. Adding this oil to your morning meal can curb excess hunger throughout the day. You can check out my favorite hemp oil brands here. This oil acts as a natural varnish and makes great substitute for petroleum-based products. Just mix it with lemon oil and apply over finished wood. This is how they do it in the 19th century! You can also use hemp seed oil to lubricate bicycle chains and door hinges. Hemp oil is rich in plant sterols and alcohols that reduce inflammation caused by oxidative stress. It also provides relief from arthritis pain and symptoms. A study conducted in 2007 reveals that hemp oil can prevent blood clotting. Two different research studies also show that this oil offers significant protection against stroke and provides beneficial physiological effects for coronary heart disease prevention. The high GLA content of hemp oil helps balance hormones as well as reduce PMS and menopause symptoms among women. It can also decrease irritability, breast pain, depression and fluid retention associated with PMS. Did you enjoy reading our article on the 10 Uses of Hemp Oil? You might want to check our list of 5 Best Hemp Oil Products!